Have your last few Valentine’s Days been unremarkable? Forgettable? Boring? If so, how can you break out of that pattern? How do you get beyond the flowers and the cards and the fancy dinners and create a Valentine’s Day experience that’s TRULY exceptional? You add cannabis to it. Obviously! 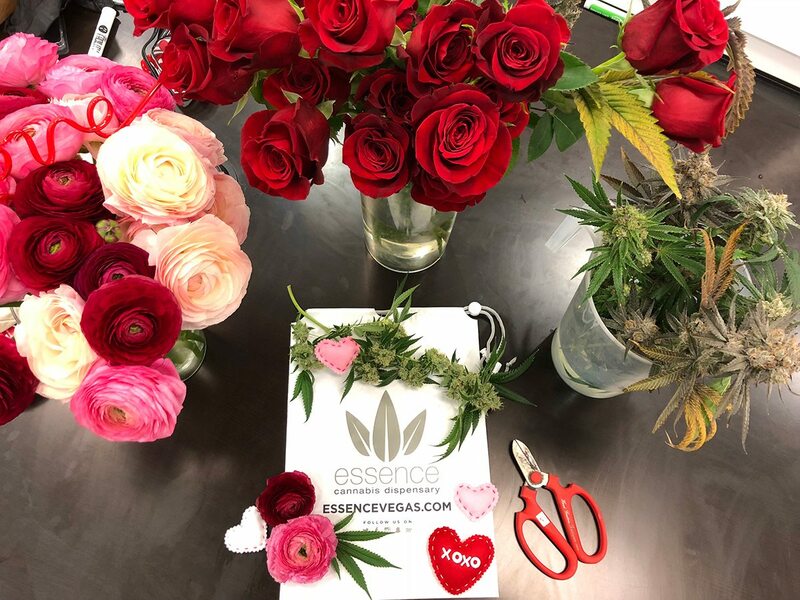 Jokes aside, adding cannabis to your Valentine’s Day makes total sense. 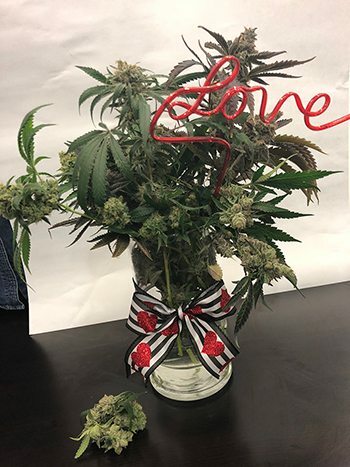 Cannabis has a knack for deepening connections between people and enhancing feelings of love and affection — so much so that it would be weird NOT to include cannabis on that special day. So don’t be weird. 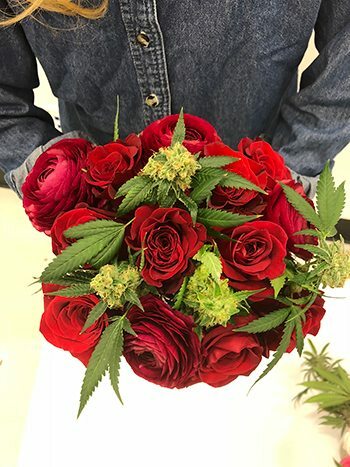 Here are the 7 best ways to have a cannabis-themed Valentine’s Day! 1. Serve Breakfast in Bed – With Edibles! Okay, lovebirds. First things first. You gotta start the day off right. Breakfast is the most important meal of the day, so let’s do breakfast in bed. But we’re going to make this a breakfast that your sweetheart is sure to remember. Pick up some cannabutter the day before. Armed with that, you can whip up just about anything from eggs and toast to strawberry waffles. Or make both. It’s Valentine’s Day. You can eat whatever you want. Next, you gotta do flowers and cards. But since everybody does flowers and cards, let’s add a little cannabis twist to yours. You’ll need to exercise some creativity here, but you don’t have to go overboard – unless you want to. All you have to do is buy a flower bouquet and strategically place some bright, colorful nugs of Mary Jane in and around the flowers. And if you have even a bit of artistic ability, you can try making your own cannabis-themed Valentine’s Day card. You could draw a cannabis leaf on the front of the card, along with a funny greeting or quote. Not only does cannabis help us feel more connected to other people, it also helps us feel more connected to our surrounding environment. Make the most of that by spending some time with your partner in a natural setting, where you’re getting sun and fresh air. Here in Las Vegas, Red Rock Canyon is a beautiful place to hike, but you don’t even have to trek out that far. Just taking a walk through your local park can be worthwhile. Besides, studies show that couples who walk together can improve their relationship. Valentine’s Day is the perfect day to test that out! Just be sure not to drive anywhere while intoxicated. Use a rideshare service or just stick to two-legged forms of transportation. Step 1: Buy a heart-shaped box of chocolates. Step 2: Take all the chocolates out but leave behind the little wrappers. Step 3: Place nuggets of cannabis flower and small chocolate and caramel edibles inside each wrapper. Step 4: Close the box. Step 5. Give the box to your loved one. Step 6: Congratulate yourself. You just crushed Valentine’s Day. Harold and Kumar Escape From Guantanamo Bay is a cannabis-fueled comedy classic that’s got a great romantic storyline in it (Kumar tries to win back his ex-girlfriend, the woman who first introduced him to cannabis). If you want a more even mix of comedy, romance and melodrama, Moulin Rouge! is a spectacle-laden jukebox musical set in turn-of-the-century Paris. It borders on the psychedelic at times, which cannabis lovers will love. Want to go to an actual theater and watch a movie? (People used to do that before Netflix, Hulu, and Amazon Prime. Crazy, right?) Isn’t It Romantic, Alita: Battle Angel and Happy Death Day 2U will be opening on Valentine’s Day, and The LEGO Movie 2 and What Men Want should still be playing. Take your pick! Who doesn’t like a sensual, deep-tissue massage? Luckily for you, we’ve got the perfect massage oil to use. It’s Evergreen Organix’s Intimacy Massage Oil – emphasis on the “intimacy.” The ingredients are remarkably simple: coconut oil and cannabis oil. One bottle contains 100 mg of THC, there are no additional oils, and it’s hypoallergenic. You can use it like you would any standard massage oil, applying it directly to the skin. In an earlier post, we talked about how cannabis can be used as an aphrodisiac. Don’t consume too much. You still want to be able to function, yeah? Try using hybrids and indicas. They’ll relax you, keeping you in your body as opposed to stuck in your head. Unless, of course, you want to get really wild and raucous (hair-pulling, back-scratching, biting, the works). Then sativas might be your best bet. It’s best to use a strain that you’re already familiar with so that you aren’t caught off guard by the effects. You can double-down on the whole aphrodisiac theme by also eating things like strawberries, dark chocolate, and oysters. Maybe not all at once though. Try oysters for dinner; strawberries and chocolates for dessert. Hope you enjoyed our post on the 7 best ways to have a cannabis-themed Valentine’s Day. 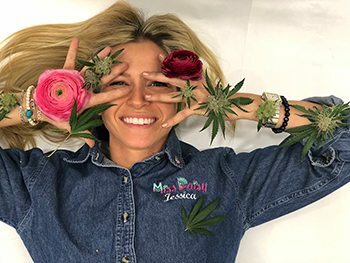 If you want to take advantage of our sale and/or try some of the products we listed, visit us at any of our three locations – Las Vegas Strip, Tropicana West, and Henderson, and speak with our dispensary consultants. You can also place your orders online or via text.